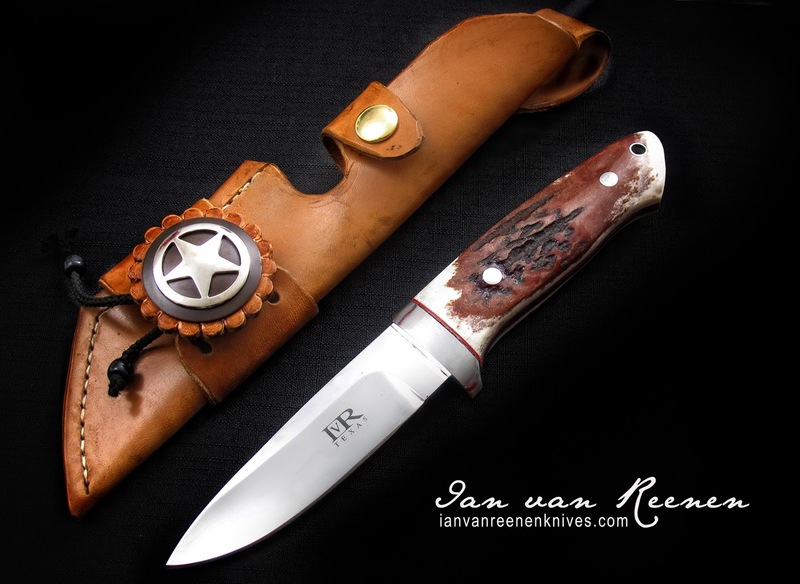 This knife is a Bob Loveless drop-point reproduction. 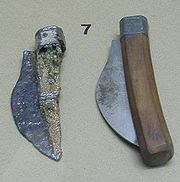 Robert "Bob" Waldorf Loveless (or RW Loveless) was an American knife maker who designed and popularized the hollow-ground drop point blade and the use of full tapered tangs and screw-type handle scale fasteners. He is cited by other knife-makers and collectors as one of the most innovative custom knife makers in the world, a near legendary figure. This is a very popular hunting knife. Everyone thought that Loveless absolutely nailed the drop-point design.